Chase Sapphire Reserve® is a super-exclusive travel rewards credit card for consumers with top-notch credit profiles and ample spending and earning power. Sapphire Reserve’s powerful mix of valuable loyalty currency and extensive travel perks is equal parts luxurious, convenient, and plain-old valuable. 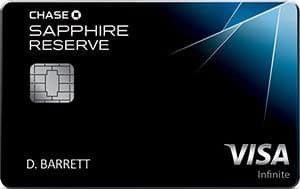 With a $450 annual fee for the primary cardholder and $75 for each additional authorized user, Chase Sapphire Reserve most definitely not for everyone. That said, the $300 annual travel credit, which offsets up to $300 in travel-related purchases each year, goes a long way toward offsetting the annual fee. Still, if you’re in the market for a less generous travel rewards card, check out Chase Sapphire Preferred (still a great card, and a bargain at a $95 annual fee) or check our list of the best travel rewards credit cards on the market today. Here’s a look at Chase Sapphire Reserve’s key features, benefits, and drawbacks – and how they stack up to the competition. Credits are applied on your statement until you hit the $300 annual cap, which renews on your cardmember anniversary date. When you spend at least $4,000 within the first three months of opening your account, you earn 50,000 bonus Ultimate Rewards points, Chase’s loyalty currency. This bonus is worth up to $750 on travel purchases (including airfare and hotel stays) purchased through the Chase Ultimate Rewards portal, and $500 on all other redemption methods. The bonus is only available to you if you don’t currently have a Sapphire card (including Sapphire Preferred) and haven’t had a Sapphire card for the past 24 months. Chase Sapphire Reserve earns an unlimited 3 Ultimate Rewards points points for every $1 spent on travel (including airfare, rental cars, and hotels) and dining out. All other purchases earn an unlimited 1 point for every $1 spent. You can redeem points for a wide variety of items at Chase’s Ultimate Rewards portal. The most lucrative redemption option is travel, which values points at $0.015 apiece – so 100,000 points equates to $1,500 in travel. Other redemption options include cash equivalents (statement credits, gift cards, and bank account deposits), general merchandise, experiences, and more. You can also redeem points for purchases at Amazon. These other redemption options generally value points at $0.01 apiece or less. As long as your account remains open, your points don’t expire. Ultimate Rewards sometimes run promotions that boost point-earning potential and/or redemption values. For instance, through April 2019, Ultimate Rewards discounted gift cards from popular retailers (including iTunes, Express, and Whole Foods) by 10%. You can transfer Ultimate Rewards points earned with Chase Sapphire Reserve to approximately a dozen participating airline, hotel, and alliance loyalty programs at a 1-to-1 ratio, regardless of the redemption value of the partners’ points. Transfers allow you to increase the value of your Ultimate Rewards points beyond the $0.015 Ultimate Rewards portal redemption rate by redeeming them for flights or hotel stays that would normally require more Ultimate Rewards points. 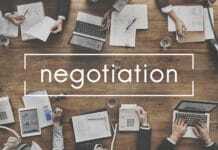 Be aware that point values can vary widely when you redeem with partner vendors. Check with each vendor for more specific information. As a Sapphire Reserve cardholder, you’re entitled to a $100 Global Entry or TSA Precheck application fee credit. You’re eligible to receive this credit once every four years. For as long as their accounts remain open and in good standing, Sapphire Reserve cardholders get complimentary access to more than 1,000 Priority Pass airport lounges worldwide. Companions must pay $27 per person, per entry. According to Priority Pass, this benefit is worth $399 per year. Chase Sapphire Reserve’s annual fee is $450. Additional authorized users cost $75 per person. There are no foreign transaction fees. Late and returned payments range up to $38. Balance transfers cost the greater of $5 or 5%, and cash advances cost the greater of $10 or 5%. Sapphire Reserve cardholders enjoy exclusive discounts on car rentals with National, Avis, and Silvercar. Discounts vary by location and carrier, but range from 25% off the regular rental rate with National to 30% off with Silvercar and Avis. In some cases, these benefits come with loyalty memberships. For instance, Sapphire Reserve cardholders automatically enjoy National’s Emerald Club Executive Level membership, whose benefits include expedited rentals and 1 free rental day on every 8th rental reservation. These benefits may be affected by blackout dates and are subject to change or discontinuation without notice. Sapphire Reserve cardholders get special privileges at more than 900 Luxury Hotel and Resort Collection properties worldwide. Perks include complimentary breakfast for two, complimentary room upgrades when available, flexible check-in and check-out times, and other benefits unique to specific properties (including resort credits and welcome gifts). LHR Collection properties include Park Hyatt, Sofitel, Virgin Hotels, and other marques. A full list is available at lhrcollection.com. Sapphire Reserve cardholders enjoy exclusive or VIP access to a variety of limited-access events, such as private dining with celebrity chefs and major sports championships. Not all experiences are complimentary, and additional fees may apply. This card requires excellent credit and a demonstrated ability to manage a credit card with a high spending limit. If you have any blemishes on your credit report, you’re unlikely to qualify. Big Sign-up Bonus. Chase Sapphire Reserve has a big sign-up bonus: 50,000 Ultimate Rewards points when you spend at least $4,000 within three months of opening your account. That’s worth up to $750 when redeemed for travel at Chase’s Ultimate Rewards portal, and potentially much more than that when transferred to a Chase airline or hotel partner. Few competing cards offer bonuses anywhere near this good. Very Good Point Value on Travel Redemptions. This card’s rewards currency is worth $0.015 per point when redeemed for travel at Chase’s Ultimate Rewards portal. That’s better than Chase Sapphire Preferred, which values points at $0.0125 apiece when redeemed for travel, and much better than Amex Platinum, which values points at a flat $0.01 apiece (or less). 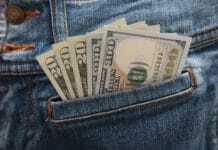 Great Earning Rate on Travel and Dining. This card offers an excellent earning rate on travel and dining purchases: 3 Ultimate Rewards points per $1 spent, which equates to a 4.5% return on travel and dining spending when you redeem points for travel. By comparison, Citi Prestige offers 3 points per $1 spent on air travel and hotels, but not on dining, which can be a hefty expense for frequent travelers. 1-to-1 Point Transfer Can Further Boost Point Values and Increases Flexibility. Chase Sapphire Reserve’s 1-to-1 point transfer arrangement with approximately a dozen popular travel loyalty programs is a powerful asset for savvy travelers seeking to maximize the value of their Ultimate Rewards points. By strategically transferring points to loyalty programs with which you already have free membership, you can boost the value of your Ultimate Rewards points to well over $0.02 apiece, depending on the dollar cost of the flights or hotel nights for which you redeem them. Annual Travel Credit Nearly Pays for the Annual Fee. This card’s $300 annual travel credit offsets nearly 70% of its annual fee when fully utilized, assuming no authorized users. If you travel often, it’s a virtual certainty that you’ll find at least $300 in incidental expenses to claim. Few other cards are as generous on this measure – Citi Prestige’s travel credit amounts to $250, for example. Airport Lounge Access Benefit Is Broad and Valuable. This card allows complimentary cardholder access to more than 1,000 airport lounge locations worldwide. If you find yourself with a couple hours to kill in a major airport, chances are high that you’ll find a participating lounge nearby. This benefit is worth $399 per year, relative to the cost of a full Priority Pass membership. Many competing cards offer access to far fewer lounges – for example, Delta Reserve® Credit Card from American Express covers roughly 50 Delta Sky Club lounges, mostly in the United States. Rental Car Discounts Can Be Super Valuable for Travelers Who Rent Often. If you regularly rent cars when you travel, this card’s cardholder-exclusive rental car discounts can be extremely valuable. With National, you save 25% off your rental price, and with Avis and Silvercar, you save 30% off. So, if you spend $1,000 on car rentals each year, you can save between $250 and $300. Hotel Perks Add More Value. If you frequently stay at hotels and resorts in the Luxury Hotels and Resorts Collection, perks such as free breakfast for two and complimentary room upgrades where available can quickly add up. Has a Hefty Annual Fee. Chase Sapphire Reserve has a $450 annual fee, plus a $75-per-person fee for each additional authorized user. Needless to say, that’s a high price to pay if you’re not going to use this card’s benefits to the fullest. Chase Sapphire Preferred, which has a similar (if less generous) rewards program and benefit lineup, looks like a bargain at $95 per year. No Automatic Frequent Guest or Traveler Status With Major Brands. Sapphire Reserve cardholders aren’t entitled to automatic frequent guest or flyer status with major hotels or airlines. That’s a drawback relative to competitors such as The Platinum Card from American Express, whose cardholders get complimentary Gold and Gold Elite Status within the Hilton Honors and Marriott Bonvoy programs – two distinct loyalty programs that together cover several thousand hotel and resort properties. No Companion Airfare Freebies or Discounts. Chase Sapphire Reserve doesn’t come with companion airfare freebies or discounts, which can dramatically reduce the cost of airfare for traveling couples. By contrast, Amex Platinum’s discounted companion airfare benefit applies every time you purchase a business or first class ticket for yourself and a plus-one. Even less generous cards, such as Southwest Airlines Rapid Rewards Premier Credit Card (also issued by Chase), offer annual companion airfare discounts to frequent travelers. No Trip Extension Benefit. This card doesn’t offer trip extension privileges, which allow you to extend trips of a certain length for an extra, complimentary night. Trip extension is a major benefit of Citi Prestige, whose cardholders always stay free on the fourth night. Like high-end general travel cards such as Amex’s Platinum Card and Citi Prestige, and exclusive branded cards such as Amex Delta Reserve, Chase Sapphire Reserve® is not appropriate for most consumers. In fact, it’s designed for a small subset of the population, a group comprised of well-heeled jet-setters and frequent business travelers with enviable expense accounts. Though you don’t have to be a millionaire to carry this card around in your wallet, you do need to travel quite a bit to make it worth your while, and you need to be able to responsibly handle a credit card with a high spending limit. Even if you’re not ready for Sapphire Reserve right now, it’s certainly worth aspiring to. You never know where you’ll be in the future. Chase Sapphire Reserve® is an exclusive credit card for frequent travelers who spend heavily in its favored categories and take advantage of its many benefits and perks, which collectively offset Sapphire Reserve’s hefty annual fee by a substantial margin. On the other hand, Sapphire Reserve’s very high annual fee and travel-oriented benefits make it inappropriate for people who travel infrequently, or even a few times per year. Chase Sapphire Reserve’s benefits include its big sign-up bonus, very good (and predictable) value on travel redemptions, great earning rate on travel and dining, 1-to-1 point transfer to roughly a dozen travel partners, generous air travel credit and airport lounge access allowance, deep discounts at major rental car companies, and potentially valuable hotel benefits. Drawbacks include the hefty annual fee, lack of carrier-specific benefits and discounts, lack of freebies or discounts for traveling companions, and lack of trip extension privileges. Overall, this is a fantastic card for frequent travelers who can afford it.